Established in 1966, accredited through N.A.E.Y.C., it is our mission to nurture and support in a safe Christian environment the children and families of the Epworth congregation and surrounding community by providing the highest quality affordable early childhood program. We embrace the philosophy that children learn best when actively involved in play and provided opportunities to explore, question, investigate, and manipulate objects and materials in their environment. Boone Prairie School seeks to provide an affordable quality education based on a classical foundation. Fostering an overall sense of community among the administration, teachers, students, and parents. we believe that it is the role of the family and the church to be the source of spiritual instruction for children, and it is the role of the school to support the instruction of the church and family, not to supplant it. The focus of Boone Prairie School is to provide students with an outstanding liberal arts education that is culturally rich in traditional American values in a Christian environment, surrounded by caring teachers and staff, without preference for one denominational set of beliefs over another. 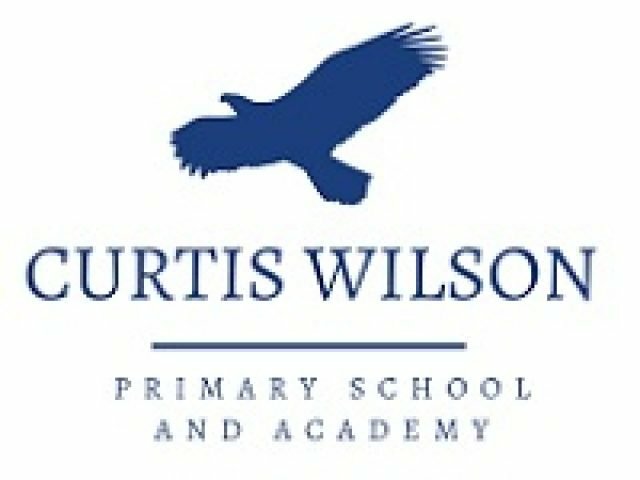 Curtis Wilson Primary School and Academy, a program of Beech Tree House Center for Child Development, Inc., promotes the emotional, physical, intellectual, social, and spiritual development of each child. Our exceptional teaching staff is dedicated to presenting a challenging and enthusiastic learning environment that recognizes each unique learner. With a dedication to personal excellence, all members of our school family are challenged to practice and exhibit love, joy, peace, patience, kindness, goodness, faithfulness, gentleness, and self-control in daily life. State-accredited with exemplary ratings. Preschool – Sixth Grade. Day Early Learning at Eastern Star Church provides high-quality preschool and pre-K for three-to-five-year-olds. Located within Eastern Star Church’s main campus on the east side of Indianapolis, the center is run by Day Early Learning with our non-faith based curriculum. All families are welcome to enroll. Day Early Learning at Fort Harrison provides high-quality early care and education for infants to pre-K on the far east side of Indianapolis. Located in the heart of Fort Benjamin Harrison in Lawrence, our center works with many military families, DFAS employees and families within the community. Day Early Learning at Park 100 is located in the heart of Park 100 on the northwest side of Indianapolis. Our location is convenient for downtown commuters and easily accessible for residents of Zionsville and West Carmel. We work closely with Pike Township Schools. Our center is one of the largest Day Early Learning Centers, with 12 classrooms. We have a large gross motor area for the children to play in that comes in handy on rainy days! Our Playgrounds are located in the front part of our building, which features garden boxes where the children cultivate vegetables and flowers. This center is PATHS to Quality Level 4 and accredited by the National Association for the Education of Young Children (NAEYC). Click here to learn more. Day Early Learning at Phalen Leadership Academy operates two classrooms inside the Phalen Leadership Academy charter school. The center is run by Day Early Learning with our research-based curriculum and is open to the public. Our classrooms are intentionally positioned next to the kindergarten classrooms. Students, ages 3 through 5, are able to get the experience of being in a large school environment. Instructors are able to work closely with kindergarten teachers to share learning and assessment tools and to ensure Day Early Learning pre-K graduates are best prepared for kindergarten and beyond. This center opened in summer of 2014 and is too new to be eligible for the national accreditation and highest PATHS to Quality ranking. This center is a PTQ level 3. Click here to learn more. Day Early Learning Federal Building is in the heart of downtown Indianapolis. It’s our center with an urban feel (the kids can see skyscrapers from their playground) and many of the children attending have parents who work in the federal government. Because of the location, the children are able to go on walking field trips to the main library, the farmers market at City Market and the holiday parades on Pennsylvania Street. It’s also a small center, with lots of individual attention for children and a family feel. Because it’s in the Minton-Capehart Federal Building, parents and children go through security every day, including a metal detector. This center uses a Reggio-inspired learning environment. We tailor our curriculum around the children’s interests and developmental levels. The children learn skills in all developmental areas while engaged in project-based activities. We use a variety of documentation methods, such as cameras, tape recorders, and journals, to track children’s thoughts and ideas as they play together or work with materials. The Day Early Learning State Government Center is one of our largest centers, and it’s scenically located on the downtown canal. When the children go outside to their playground, they enjoy seeing runners, bikers, paddleboats and the canal ducks every day. Our State location is especially convenient for state employees, but is also open to the public, and is so close to the office buildings that it appeals to many downtown commuters. This center is very culturally diverse, as families that attend are from all over the world. IU Health Day Early Learning Center is located just north of the IU Health Methodist Hospital on 21st and Senate. Because we are affiliated with the hospital, we offer extended hours to both hospital and non-hospital employees. We offer the added convenience of serving an evening meal to those children who are with us after 6 p.m. Our location is convenient for hospital employees, university students, as well as those who work downtown. 6 weeks to Pre-Kindergarten and after school care The Little Lamb Christian School is a home away from home for children 6 weeks to pre-kindergarten. Since 1987, we have been the go-to private preschool for Carmel families who are interested in a Christian education. We are a place where children can learn, explore, create, grow and play!